Ann Arbor Michigan, One of the Happiest Places in the US - The Next Blue Zone? 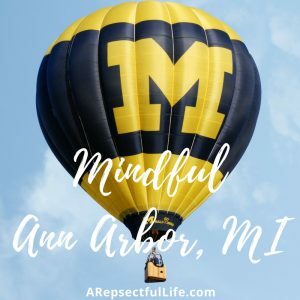 Ann Arbor Michigan, One of the Happiest Places in the US – The Next Blue Zone? Ann Arbor, Michigan is one of the happiest places in the US according to the best-selling author of “The Blue Zones Solution”, Dan Buettner. Dan, whose book detailed the lifestyles of the world’s longest-lived and healthiest people, teams up with researchers from National Geographic and Gallup to develop the national well-being index and rankings. Ann Arbor came in at number 16 out of the top 25. Ann Arbor may be generally happy, but are we healthy? Do we feel like we belong here? Do we have a sense of purpose in our daily lives? Are we inclusive? The obesity rate in Michigan is about 31% of the population. Washtenaw County comes in under that at about 25%., which is one of the lowest in Michigan. So 1/4 of the population in Washtenaw County is obese, but MANY more are over weight. There are over 300 dining options in Ann Arbor with a wide range of cuisines. Ann Arbor is home of Dominoes Pizza (and over 20 other pizza joints), and has one of the oldest restaurants in Michigan – Old Town Tavern, established in 1889! Of the many restaurant option, only a handful of them serve a healthy menu items (limited processed food items, and low in saturated fats). We do have a few Indian, Ethiopian, and Vegan / Vegetarian options that are more healthy, but the choices are limited. One of the healthier options Ann Arbor has available for its citizens is a very strong Farmers Market. In addition, Ann Arbor is also home to a fantastic co-op and several local farm to market grocers. Nick-named ‘Tree Town’, Ann Arbor has earned a reputation as an urban oasis. It has many hiking and biking trails, boating options, and outdoor recreation areas including the the 35 mile Border To Border Trail, the Huron River Water Trail, and the Waterloo State Recreation Area just outside of Ann Arbor. Much of Ann Arbor is walkable and bikeable. It is ranked #4 in the top 10 most walkable cities! The City Council has worked diligently to develop a connected network of sidewalks, pedestrian pathways, and bicycle lanes. Even so, only about 20% of residence walk or bike to work and this is largely in part due to the University of Michigan Students. Over 70% of the walking commuters are under the age of 25. Is Ann Arbor A Blue Zone? A Blue Zone is characterized as an area of the world with a high concentration of centenarians, overall longevity, and little chronic diseases (lifestyle diseases like type 2 diabetes, and cardio vascular disease). In Ann Arbor, the life expectancy is 80.5 years – which is the highest in the state of Michigan, and a full 2 years longer than the national average of 78.5 years. Ann Arbor does better than much of the rest of Michigan and the Nation, but would not be considered a Blue Zone. 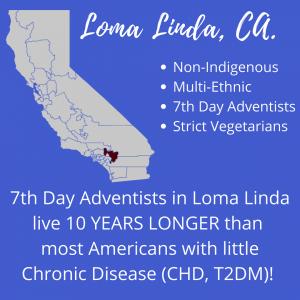 Perhaps the most interesting of the Blue Zone communities is Loma Linda, California. The citizens are non-indigenous and multi-ethnic, yet the average age for men is 89, and for women is 91. This is 10 year longer than the national average, and they are 10 times more likely to live to 100! This show that longevity is not just genetics, it has more to do with lifestyle than anything. 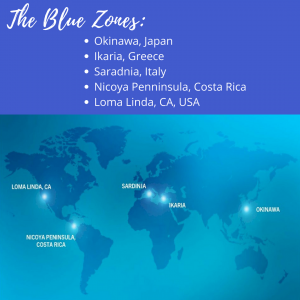 The Blue Zones projects are areas of the U.S. wherein the Blue Zone lifestyle is being incorporated. One of the project sites is Albert Lea, Minnesota. The AARP/Blues Zones Vitality Project is sponsored by United Health Foundation and led by Dan Buettner, the author of ‘The Blue Zones’. The Vitality Project’s goal was to add 10,000 years to the lives of Albert Lea residents by encouraging them to make small changes in their daily lives. Walking Moai Program: Over 500 participants joined approximately 70 “walking moais,” which were groups of 4-10 walkers who agreed to meet once a week and walk to a set destination and back. They collectively walked over 75 million steps and approximately 32,000 miles. In addition, Walking Moai participants did over 2,200 hours of volunteer work. Both steps and volunteer hours were compiled for each group as part of an overall Walking Moai competition. Walking School Bus: The Walking School Bus Program found parents and volunteers to walk with groups of children to their respective elementary schools. A walking bus is said to encourage children to walk more, help build social networks, and assist in keeping kids safe on their way to school. Vitality Compass: The Vitality Compass is an online tool which is now available nationwide. It asks participants questions about their eating habits, sleeping habits, levels of stress, and amount of daily activity. At the end of the online survey, participants are given an age which is their approximate life expectancy. For the purposes of determining the efficacy of certain aspects of the Vitality Project participants were asked to take the Vitality Compass twice; once at the beginning of the program and again at the end. The average life expectancy for those who took the Vitality Compass at the beginning and at the end of the program increased by three years. Volunteering: Vitality Project organizers encouraged participants to volunteer in their community. Employers: Employers were encouraged to make their work environments more amenable to practices leading to good health. For example, some employers added healthy alternatives to vending machines. Grocery Stores: Vitality Project organizers encouraged grocery stores to feature those foods which are thought to engender better health and increased life expectancy. Neighborhood Picnics: To encourage community building and social networking, several neighborhood picnics were held and all people in a given neighborhood were invited to attend. Community Gardens: The City of Albert Lea in cooperation with the Vitality Project made space available for citizens of Albert Lea to plant vegetables and flowers. Purpose Workshops: Workshops addressing the importance of finding one’s sense of purpose were provided to Albert Leans for free. The workshops were led by Richard Leider, a nationally known executive coach who is also founder and chairman of The Inventure Group. In addition to the these programs, the city of Albert Lea worked toward making their community more walkable and sustainable. Another great success story is Naples, Florida which is now ranking first on the Gallup-Sharecare Well-Being Index® Community Ranking for 2016, the Naples area leads the nation in well-being! De-convenience your home, take the stairs, park farther away from the entrance and grow gardens. Have an errand not far away…walk! Walking is one of the best activities for longevity. Know why you wake up each day! This alone can add seven years to your life. Be able to articulate your values, passions, gifts and talents. Stress leads to chronic inflammation which is associated with every major age-related disease. Find your de-stressor: meditate, nap, pray, or enjoy happy hour. Cut 20% of your calories with evidence based practices: eat a big breakfast, eat with your family, use 10 inch plates, and stop when you feel 80% full. Eat a plant-based diet that’s heavy on the beans, nuts and green plants. Moderate drinkers outlive non-drinkers. The trick is to drink 2 or maybe 3 drinks per day and not a drop more. Living in a loving and thriving family can add six years to your ticker! Invest time in your kids, nurture a monogamous relationship and keep aging parents near by. It doesn’t matter if you’re Christian, Buddhist, Muslim, Jewish or some other religion that meets as a community. Research shows that attending faith-based services four times per month will add 4-14 years of life expectancy. Take stock in who your friends are and extend your social circle to include healthy-minded, supportive people. I have written more extensively about the Blue Zones in my article ‘Lessons From Centenarians‘. Ann Arbor has many of the qualities that are consistent in the Blue Zone communities and the Blue Zone Project communities, but we just aren’t quite there. For the sake of our citizens, and all of our health, we can do better. Educating citizens about food choices and nutrition including affordable options. Encouraging grocery stores and restaurants to make the healthier eating choices front and center in their stores and on their menus. Getting more citizens involved in volunteer efforts. Creating more social activities and gatherings. Creating groups, activities and gathering that are affordable and inclusive to all socioeconomic groups. I would personally love to see Ann Arbor become a Blue Zones project city. These projects are normally financed by insurance companies, and health care organizations. The benefits to the community can be astronomical, and the results ARE measurable. Let’s make Ann Arbor a Blue Zone! Previous ArticlePrevious Post: Is a Vegan Keto Diet Safe?